Full day Kindergarten program from 8:00 a.m. – 2:30 p.m.
Before and After Care programs are available daily. Please call for details. 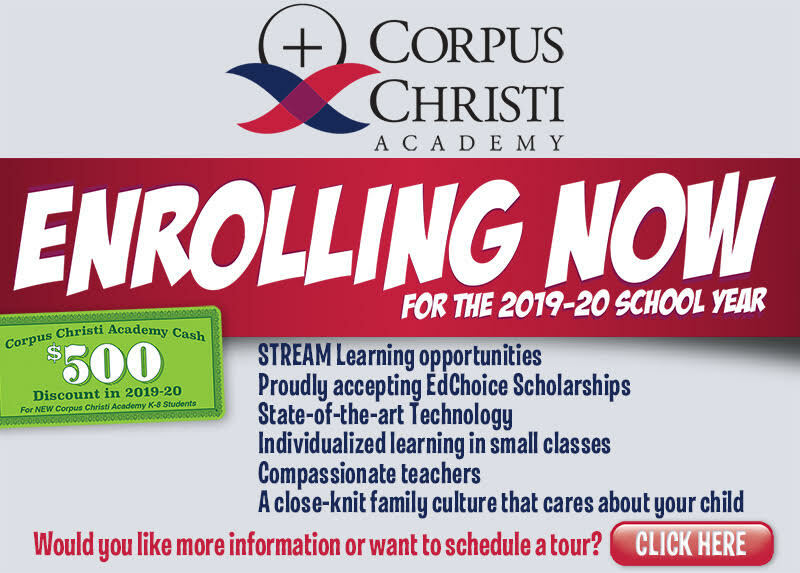 We invite you and your family to join us on our journey and become part of a strong Catholic community. 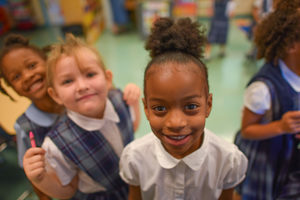 It’s a journey that begins with excellence in Kindergarten and continues through 8th grade, with education and friendships for life. The core kindergarten curriculum includes Religious Education, math, reading, phonics, and handwriting. 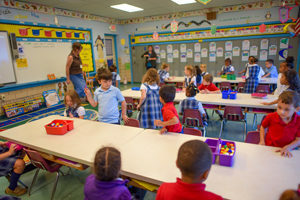 Students also take part in activities in science, social studies, health and safety as well as attending classes with specialty teachers in music, computer, Spanish, art, and physical education. 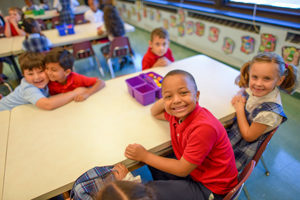 Instruction is guided by the curriculum written by the Diocese of Cleveland. The kindergarten year marks the beginning of formal education for your child. We truly understand the importance of this milestone and look forward to creating many memories and applauding many achievements with your family.